Even though they just came out with an album last year, Chris Martin, Guy Berryman, Jonny Buckland, and Will Champion are at it again: Coldplay has released details of their next album, which will be out within the year. Wow, no rest for the weary or the wicked, huh? Not sure what they are in this case, but I can't help but be impressed by the breadth of their output! Coldplay usually has between two and three years in between each of their offering, so seeing two albums come out back to back like this deserves some special attention. And it's attention I'm more than ready to give them, because I've been digging around looking for everything we know about this album so far. Luckily, there's quite a bit of information about it out there — traditionally, Coldplay members are more generous with information on upcoming albums, a trait that I wish would rub off on fellow artists like Adele and Rihanna, who've left us hanging here for years now waiting on their next albums. But I'm getting distracted; none of that matters right now! We were talking about Coldplay's next (and potentially last! eek!) album, so here's everything we've been able to glean about it so far. It was preceded by Parachutes in 2000, A Rush of Blood to the Head in 2002, X&Y in 2005, Viva la Vida or Death and All His Friends in 2008, Mylo Xyloto in 2011, and Ghost Stories in 2014. It's called A Head Full Of Dreams, which definitely matches with their other albums. It'll be out on Dec. 4, 2015, so clear your schedule! 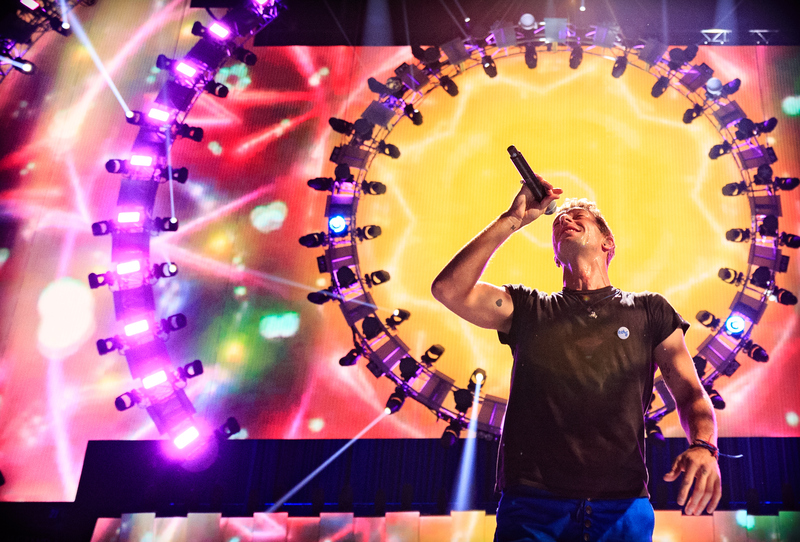 According to Chris Martin, A Head Full Of Dreams features more guest artists than any other Coldplay album, a list including such luminaries as Beyoncé, Tove Lo, and Noel Gallagher. It's called "Adventure of a Lifetime," and you can listen to it above, or download it for yourself if ya nasty. And it'll be more extensive than the Ghost Stories Tour, which was virtually nonexistent because the band went right back into the studio for this album in Summer 2014, meaning that the creation of A Head Full Of Dreams ended up interfering with the promotion for Ghost Stories . But that won't happen this time around, because the band is already starting to plan an extensive world tour, set to begin in early 2016. What you're looking at there is the Flower of Life, a geometric pattern formed by overlapping perfect circles. It's known as sacred geometry and is thought to have been an important symbol to ancient cultures worldwide. It's our seventh thing, and the way we look at it, it's like the last Harry Potter book or something like that. Not to say that there might not be another thing one day, but this is the completion of something. But, hey, we're all very much aware of the new Harry Potter content coming out right now, years after the series was supposedly finished, so there's a silver lining here. The titles sound good, at least. It's called "X Marks The Spot," so keep your eyes (and ears!) peeled. According to bassist Berryman and guitarist Buckland, A Head Full Of Dreams is meant to be the polar opposite of the murkier Ghost Stories, widely believed to be tackling the subject of Martin's divorce from Gwyneth Paltrow. In contrast, their seventh album is intended to be more uplifting, with Buckland referring to it as the "night to the day," where the night is the darker themes in Ghost Stories and the day is... well, you get it. He's the Grammy-winning sound engineer behind acts like Mariah Carey and Rihanna, so it's exciting to hear that he'll be involved in this project as well. And that's what we have so far. Kind of a lot, right? Once again, all you secret album-droppers out there, take note: this is how you keep people calm while they're waiting for new material from you. Just saying.